Our Folding Furniture Collection sees new colours, new styles and new designs to maintain our market lead. A great new colour is added for 2017 to give a smart palette complementing our tent collections with the hybrid steel/alloy powder-coated frames in matching colours. The collection includes the padded Gorman Hills, Vacaville Hills Day Bed, Chino Hills with adjustable side table and a new adjustable Junior Chair, Pine Hills Junior. New Maya, Hamoa and Navagio transporters offer practical solutions to moving camping gear. 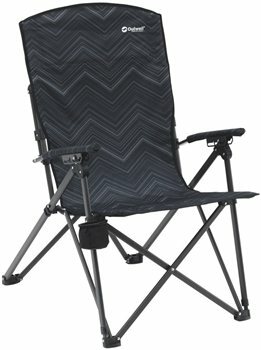 Good quality camping chair, just what we wanted!